Hound 13 has just released a fully action-packed game for mobile, named as Hundred Soul, In the game, the player battle against the hordes of enemies, boss, unlock new regions, and complete the collection of partners(fellow) by beating them in their own region. Hundred Soul game comes with a variety of game modes; region, arena, force battle, special battle and much more. If you are having trouble in winning battles or understanding the game’s mechanics, then our Hundred Soul guide and Hundred Soul tips, cheats & strategy will help you in defeating the boss. Before you dive into our tips, cheats & strategy guide part, let’s have a look at the basics first. This game is all about how you use the skills in the battle and trigger the weapon’s skills. In addition to it, critical hits on the enemy’s weak spot(red) also matter. The controls are pretty simple; there is a joystick controller at the bottom-left of the screen, use it to navigate the main character. At the bottom-right side, you have combat controls; basic attack, skills, evade/dodge. To unlock new regions, the player needs to defeat the region boss. The portal or path to the region’s boss unlocks when you collect enough souls of fellow. After obtaining enough souls, you will be able to enter the portal. You get these souls by defeating the boss(after completing a set of stages). In Hundred Soul game, crafting material is required to craft the weapons, items at Pandora. You can obtain this material from certain region stages or from the mine. You will unlock mines by beating the region boss or conquering the regions. For example; In Frozen Snowfield, you have Sulfur mine. You will unlock more; Slat Mine, Mercury Mine, Animus Sulfur mine, and more by playing the game or spending crowns(premium item). In Hundred Soul game, the player can team up with one character for the battle. The partner character or fellow helps you in defeating the monsters or with her/his skills. Defeat the region boss to unlock more partner or fellow characters. To promote the fellow character in Hundred Soul game or to learn secret skills, you need fellow souls. You can obtain fellow souls as a reward by collecting the medals(for example; when you have 880 medal points, you can claim Nazriel’s Soul) or from the fellow’s sanctuary. Note: -Promoting also requires badges. You can obtain these badges from the valor shop in exchange for valor coins(play team battle mode to earn). EQUIPMENT GUIDE – HOW TO OBTAIN, UPGRADE, ENHANCE? There are many ways to obtain the weapon or other items; armor, necklace, ring, belt, and more; from the chest, boss stage, first-time reward, and more. But the main source is crafting. You can craft all the gears in Pandora Workshop. Upgrading the equipment – Upgrading increases the attribute of gear items. Depending on the tier of gear, you will need the upgrade material. You get these material items from the region map. Go to the equipment menu -> tap the gear item -> upgrade -> tap the material icon to know the source. Enhancing the equipment – After upgrading the equipment to a certain level, you will be able to enhance it -> to a higher-tier. Hundred Soul game features three type of gears; normal, rare, and legendary. All the weapons provide different skills to the character. In the equipment menu, head to the skill tab -> there you can check all the skills of that weapon. Tap the + button next to it to upgrade or level up the skill. It will cost you skill points and gold coins. How to get skill points? You earn skill points by upgrading the gear items. How to unlock new skills? Reach the high tier(enhance) of weapon to unlock new skills. On the main screen of the game, at the top-right side, tap the team settings option. On the next screen, you can modify the gears, weapons, fellow for the battle. Depending on the set, you will see total power at the bottom. And you will also see the available special skills – to unleash these skills, you will have to trigger the certain effect; stun, air or more. For example; You can stun the enemy by unleashing the combo(back-to-back) attacks. Different fellow characters help you in triggering these effects; for example; Nazriel – Stun, Gigantic – Air, Holy Prayer – Heal, Weaken, Purify, Stone Gaze – Stone, Meteor Strike – Stun, Fire. You can check in the fellow menu. Go to the Pandora Workshop menu. Tap the creation clock. Add the materials. Use the seek bar to adjust the quantity. It will cost you the essence of creation. You can obtain this item by completing the missions. Tap the records button at the bottom-right of the screen to check the full list of gears and details. Leveling Up CREATION CLOCK – You earn EXP by crafting. As you craft over and over again, you will gain more EXP. After gaining enough creation clock’s level will increase and you will be able to obtain high quality best weapons. In the collection menu, you can check the missions related to the fellow characters, equipment, and monsters. Completing these missions will reward you emerald, medals/medal points. You will get a handsome amount of rewards by collecting the medal items. For example; fellow souls, emerald, gold, boosters, enchant stone, and more. So this is the Hundred Soul guide for the beginners. Let’s check out our top Hundred Soul tips, cheats & strategies to master the game. To use some skills, you need to trigger the effect or action; stun, air, and more. For example; Nightfall/Sword’s grab skill activates when you trigger the stun effect. So make sure to know the trigger requirement and skill’s impact -> in the weapon’s profile page. When fighting against the boss, to deal additional damage, make sure to use these skills. As you progress through the game, you will need to increase the power of character. You can do it by upgrading the weapons, skills, promoting the fellow characters, and upgrading the Novastones. Don’t forget to craft the high-quality gears in Pandora workshop. You can use emerald or Novastone tickets to buy Novastones. Go to the cash-shop -> Novastones -> there you can use emerald or tickets. And on the main screen, on the right side -> tap the Novastone option -> equip. You can use other Novastones as upgrade material to upgrade the existing ones. Just tap and choose. Precious items such as emerald, booster, EXP, essence creation, gold, resources can be acquired by completing the missions. Don’t forget to complete them daily. 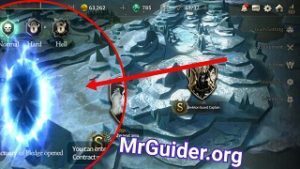 Join the guide, participate in the guild, earn guild coins and spend in the guild shop for desired items. It’s very simple. Tap the battle button to go to the adventure mode screen. On that screen, at the bottom-left corner, there would be an option named resource center. Tap it. There you will see the use booster button. Tap it and use; booster ticket or use emerald. You may get a booster ticket by completing quests, from the normal shop/guild/valor shop or from the stages. No team up with other plauer?. How to force battle while playing solo? Can you do guild raid or other players? i have a mission said clear the omen 4 times. How to clear this mission?